When coaching an executive or business owner about leadership, there is a word picture that tells so much more than all the other metaphors. That word picture is golf. Those of you might ‘hate golf’ or don’t know much about it, please stay with me. The game of golf is a collection of challenges intentionally designed to test your skills. 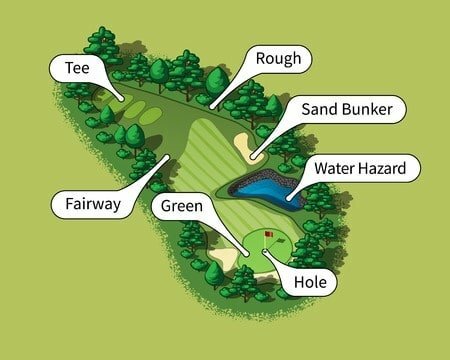 In a standard round of golf, there are 18 holes, each with their own unique set of characteristics. Some of the holes are longer than others. Some have water obstacles, others have sand. Often you have both. Elevations change, grass changes, shapes, and cuts give every hole a special personality. You tee off on each hole, hoping to reach the green in as few strokes as possible. Once you have reached the green, all that remains are a few shorter touches to sink the ball into the cup, but oh how hard those last strokes can be. The turns and twists of the surface of the green make some hard uphill runs while others are slippery downhill slopes. Here, even the length and density of the grass can influence your effectiveness at putting. There is a target score called “par” which means you have successfully navigated the designed hazards and achieved a positive outcome. To conquer these challenges, we buy a “full set of clubs”. The rules of golf allow you to carry 14 clubs in your bag. You get to choose what the 14 sticks include. These clubs become your tools for mastering the course. The shafts vary in length as will the club heads vary in angle and density. 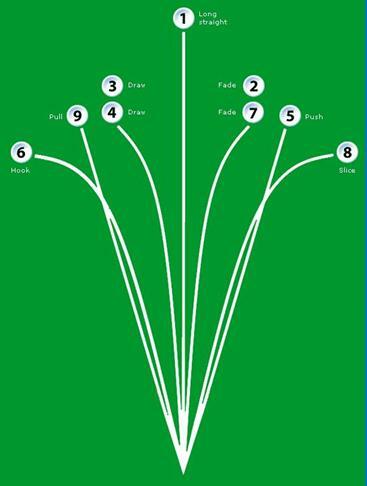 Each one has a designed purpose so that you control both the length and trajectory of the flight of the ball. People who achieve the best skills at golf can “shape a shot”; making the flight of the ball bend left or right depending on the angle they need to compensate for topography or wind direction. The best golfers do this “shot shaping” at will; whenever a shot is needed. So how does all of this apply to management and leadership? The golf course can represent the work in front of you; the people, the tasks, the goals, and objectives. Each aspect of your work will have a different dimension, shape, or trait. This applies to the people who work for you as well as the business of the company. New projects take on new shapes. The list can be long and the complexities very diverse. In management and leadership, you have to plot the course and make plans to achieve the desired outcome. With golf, beating “par” is the goal. In leadership, having the equivalent of the lowest score (beating par) would mean getting the best results as quickly as possible, mastering the uniqueness of the situation, making good selections, and executing on those selections. The approach and methods you choose for each situation mimic the need for various golf clubs. Even once a club is selected, the way you swing determines the shape of the shot. Leadership requires a variety of approaches and techniques. There is no one answer that fits all situations. Leaders who use one style and a “my way or the highway” mindset can be effective for a little while. However, using variations on your leadership approach will allow you to fit the situation and achieve far greater results. In golf, we talk a lot about course management. This means knowing the twists and turns and adding to that information the data you have each day about the weather, wind, and overall playing conditions. When a course gets hot and dry, the ball cannot be controlled as well. If a shot is hit too far or too hard, the hardened surface will allow the ball to run away from the target. On the other hand, a course that has had a lot of rain will play softer. Even when you want a ball to run, it may not due to the wet conditions. Working with a course management mindset helps to set-up the rest of the game for shot selection (club selection) and approach. While we might have made a tactical decision early on i.e. a way we are planning to handle a customer, a supplier, or an employee, the situation with that relationship may change day by day. This requires us to alter our decisions about the way we need to handle things. Today, golf manufacturers introduce new and improved equipment almost weekly. Keeping up with the latest technological improvements for feel, control, and response with the clubs can be a full-time endeavor. Yet, the need to become proficient with what you own can only happen with repetition through practice. Constantly changing equipment creates the need for adapting to the new tool. It can be this way too with management and leadership tools and training. Attending seminars and buying programs to teach new techniques for leadership will not work without full adoption and practice. Giving in to the temptation to be buying every new idea is just like the weekend golfer who buys every new club in hopes that this latest tweak will be the magic bullet to solve the problems in his game. Instead, it would be more beneficial for him to use what he owns to practice making each of the shots he might need one day. Leadership is a solitary endeavor. Just like golf, a person can labor quietly to improve their game. Constant practice is the best way to figure out how you can hit each club. Then rendition helps to lock in muscle memory to aid in the execution of a shot when the time comes. In golf, feedback is pretty instant. The ball either goes where you want it to or not. In leadership, feedback can be this quick too, but more likely is not. You don’t always know how well your selection of club and shot (your approach) worked out. This is especially true with leading people. Though you may get pretty good at knowing how to handle certain people, to be a better leader you must become well versed in inspiring all people. Anyone who has been a golfer knows there are good days and bad days. You might be able to play a number of rounds and shoot really good scores. Then all of a sudden, you go out one day, and BANG! Everything goes wrong. Management and leadership have those days too. Things happen. You must let the bad days pass. Stay true to what you know about yourself and your team. Don’t start making major adjustments to your leadership methods before you can resolve whether big changes are truly needed. If all that is needed is a cooling off period, tearing into your whole method and approach for leadership can be damaging. Effective leadership has never been a one size fits all solution. Great leaders know how to adapt, change, and adjust their tools and methods depending on the situation. Just like making a golf club selection when you are facing a dogleg left with a slight breeze in your face, there are many different details to measure and include in leadership decision making. Be flexible, be willing to shape your shot. Hey, it’s in the bag! Author’s note: This topic first appeared in 2016 and was highly regarded as a popular post. So with a few updates and edits, I present it again as a reminder to leaders everywhere.